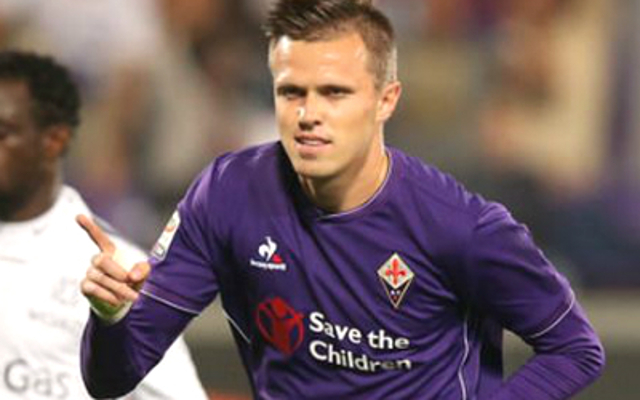 Josip Ilicic is the latest player being linked with a move to Liverpool, with the Slovenian international potentially set to leave Fiortentina this summer, according to Football Italia. The goalscoring playmaker has been in fine form for the Serie A side, bagging 15 goals as well as supplying six assists for his teammates. He’s attracting a lot of attention though, and we’re apparently facing a huge amount of competition for his signature. He’s reportedly a top target for a number of English clubs, with Football Italia suggesting that West Bromwich Albion, Crystal Palace, Tottenham, Watford, and Leicester City are all after the 28-year-old. They claim Leicester City and Tottenham are leading the race for his signature, but if we really wanted him we’d be more than an appealing prospect. That said though, we’re inclined not to believe there’s any truth in the rumours. He’s unquestionably a talented player, and the links to several top clubs are certainly believable. He’s definitely not what we need though, as we already have the likes of Philippe Coutinho and Roberto Firmino. He’s a very similar player to the latter, and there just doesn’t seem to be a place for him in the team. It’s possible Jurgen Klopp has a plan for the player that we just can’t see or aren’t aware of at the moment, but we can’t see this one happening.